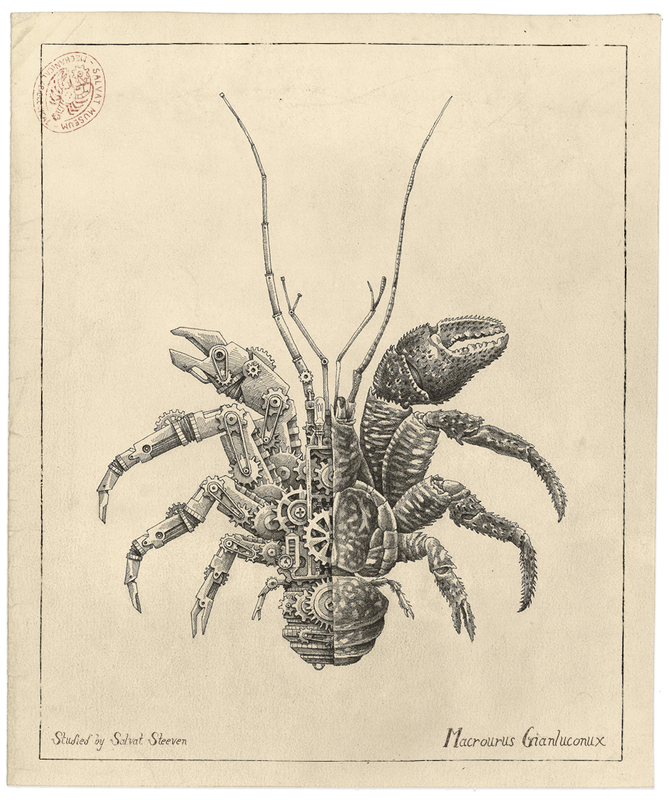 On this series of drawings inspired by classical biological studies. 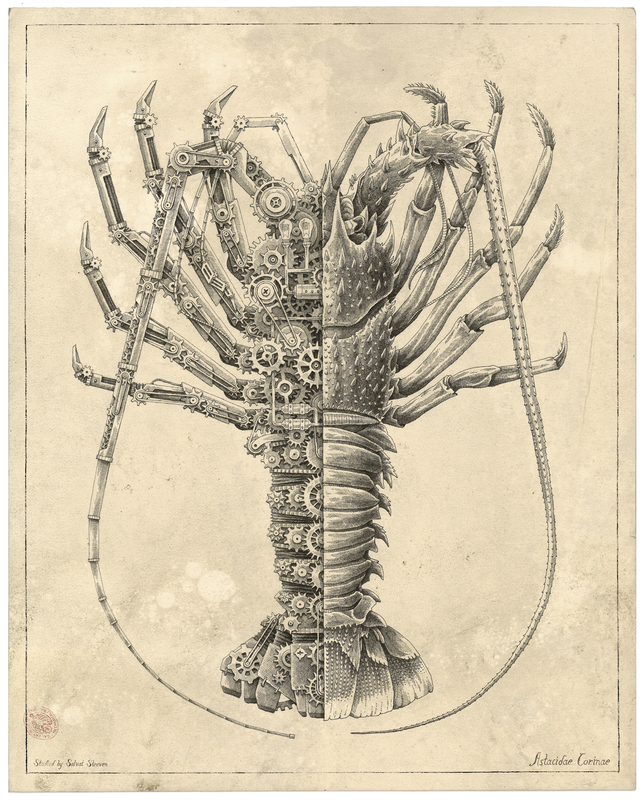 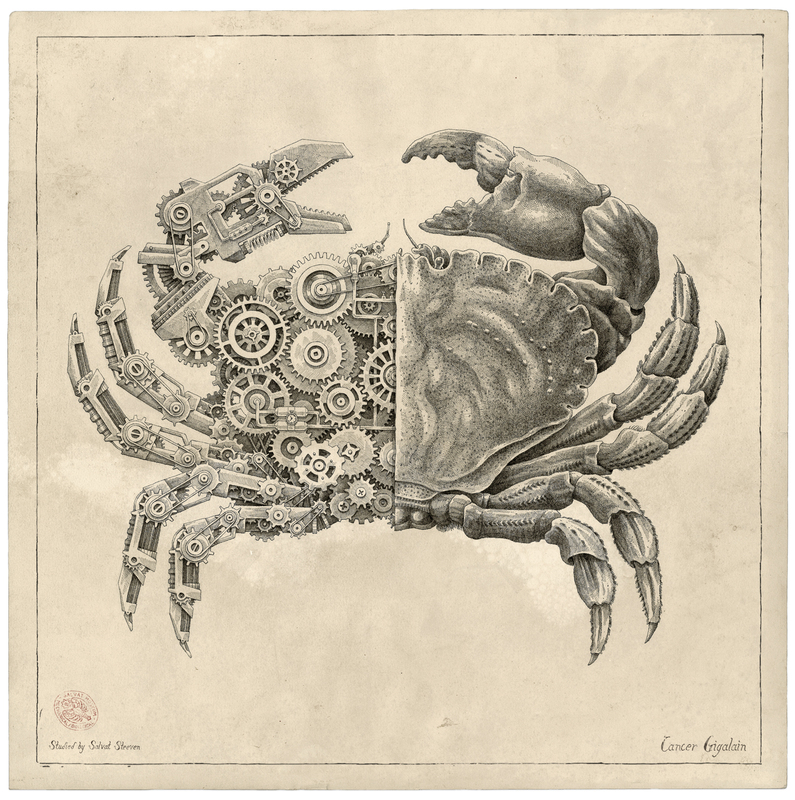 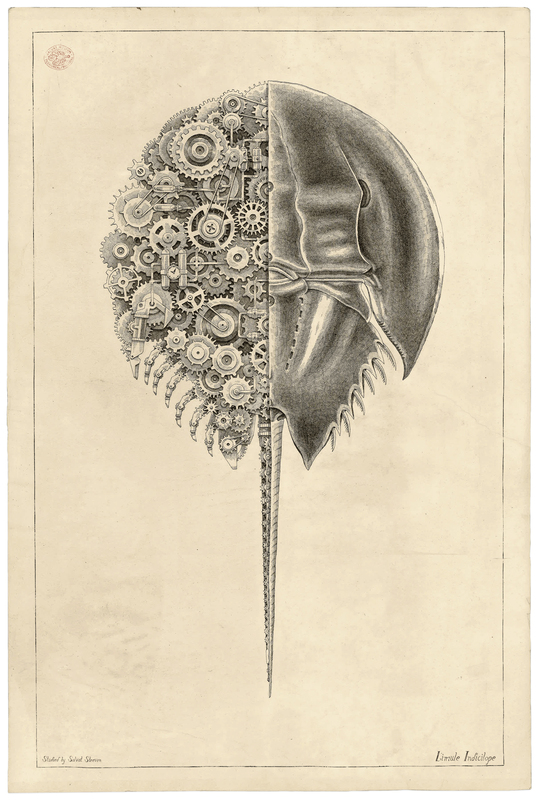 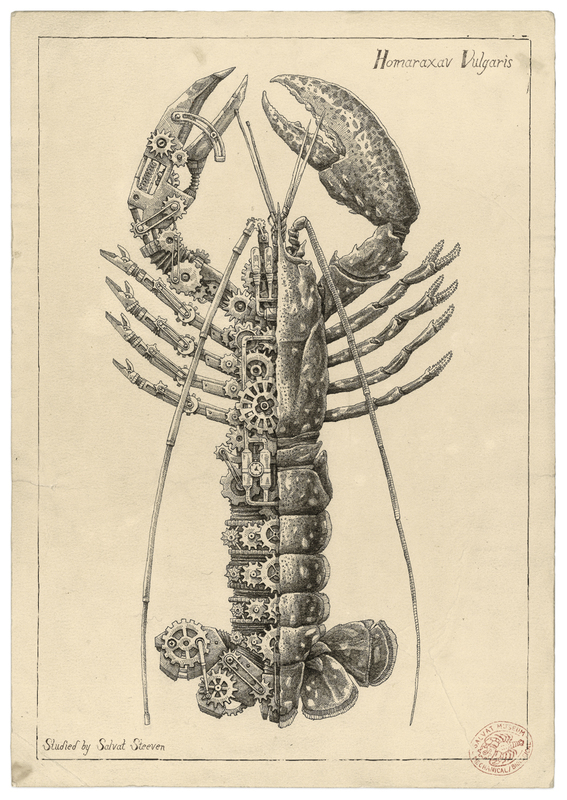 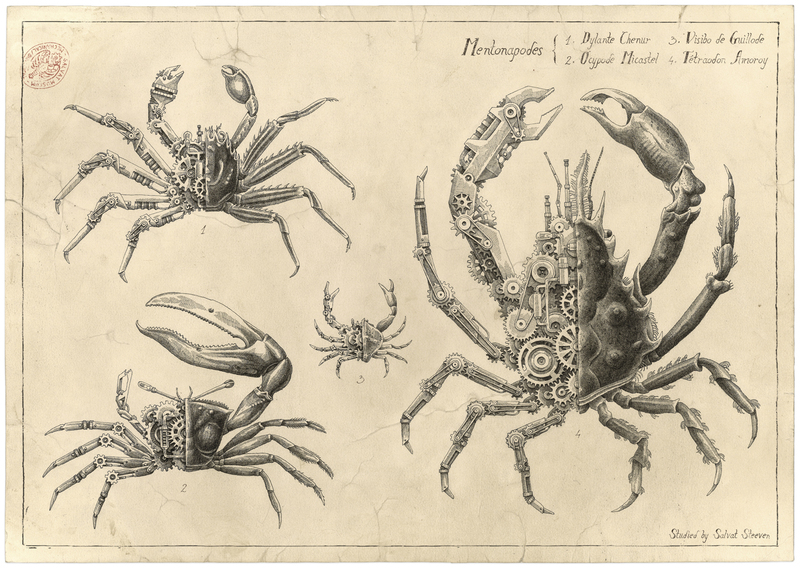 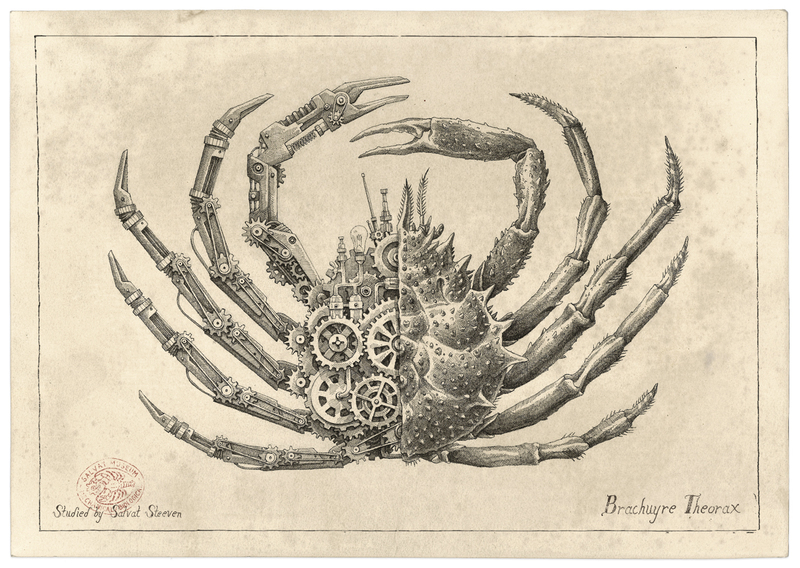 Steeven Salvat combines mechanical and biological forms to compose this magnificent crustacean. 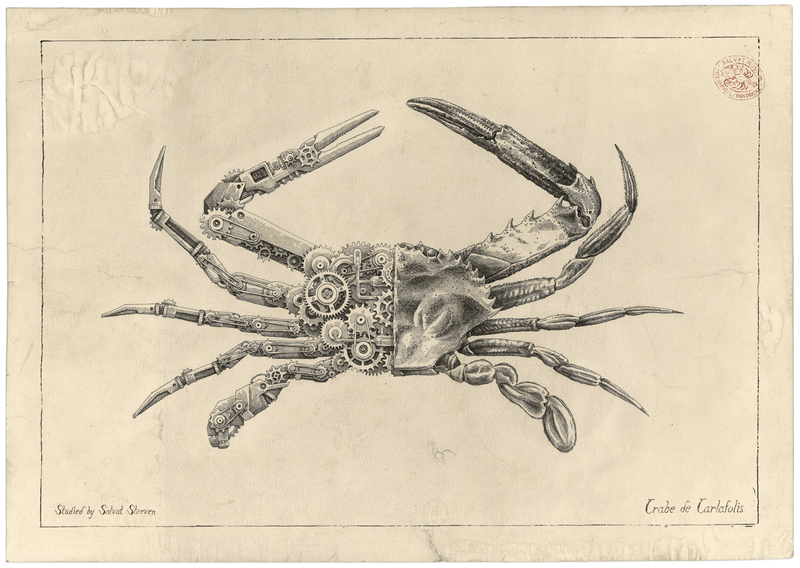 It’s done with 0.13mm Rotring on ancient homemade paper colored with tea. 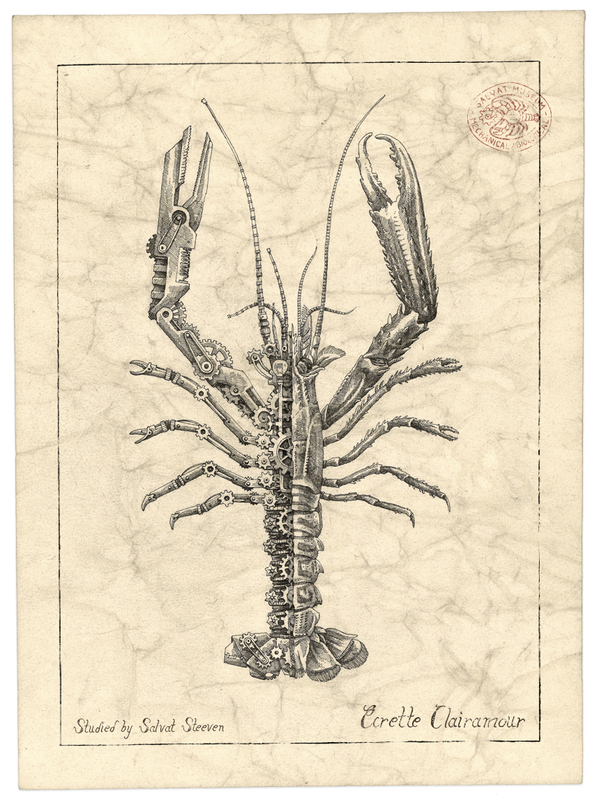 It is possible to create the look of parchment with most types of paper using tea. 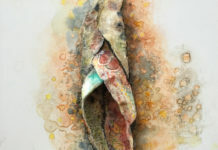 This process is known as “tea staining”, and it is also used to create the look of aged cloth. 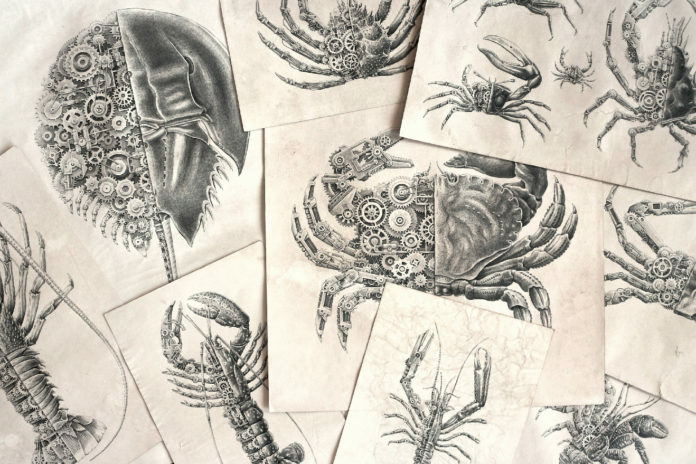 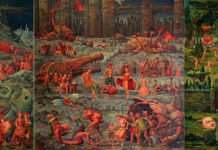 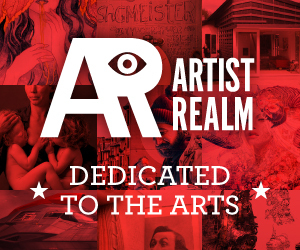 Steeven Salvat takes advantage of this technique to create a beautiful contrast his sharp detailed oriented drawing techniques.